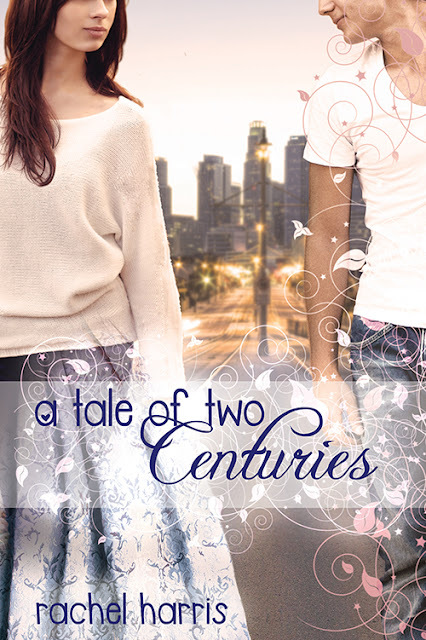 I'm so excited to be part of the big cover reveal for A TALE OF TWO CENTURIES by Rachel Harris!! I absolutely loved the first book (MY SUPER SWEET SIXTEENTH CENTURY), and I'm anxiously waiting to read book two! Austin pushes the red and black Jet Ski into the water, past the first few crashing waves, then throws a leg over the side. He turns to me, extending an upturned palm, but as I watch the water pound against his legs, I slowly shake my head and inch away. Forget the confusion of the past few minutes or my concern if riding wrapped around Austin is appropriate…are jet skis even safe? So far, my experience with modern machines has taught me that they travel at terrifying speeds. What if I were to accidentally let go and fly off? I don’t know how to swim! The sardonic guise he hides behind drops for just a moment, but it is enough. I say a quick prayer and place my hand in his. With my legs straddling the seat, my arms wrapped tightly around Austin’s firm stomach, and my chest and face pressed against his back, I do not need the extra layer my wetsuit provides. I am quite warm without it. Under me, the engine rumbles. Austin grabs my clasped hands, ensuring my death grip. And then we are flying. Fear is left behind me on the beach. My laughter is swallowed by the wind. And I hold onto Austin. The rest of the world falls away as he powers the machine forward. Whistling sound envelops us yet there’s also silence in the midst of the roar. Out here, there’s no room for worrisome thoughts about the future or about the past. No time for concerns over when I will return or how much I miss my family. In this bubble of Austin, wind, and water, all I can do is live and breathe and smile. Austin spins us in circles and then we fly straight ahead, free as the winged creatures overhead. He bounces us over a swell and a spray of water splashes my face, tickling the skin left exposed from my wetsuit. I squeal, and under my clasped hands, I feel his taut stomach muscles shake with laughter. Then he takes off again in another sharp turn, racing in the opposite direction of which we came. Excitement has me screaming, asking him to go faster. I close my eyes against the sting of the salty air and the lash of my hair and tilt my head back, feeling more uninhibited than I ever have before. More free, more alive…just more. Don't forget to enter the giveaway for one print copy of A TALE OF TWO CENTURIES (US only) and an e-copy of A TALE OF TWO CENTURIES (open international)!! As a teen, Rachel Harris threw raging parties that shook her parents’ walls and created embarrassing fodder for future YA novels. 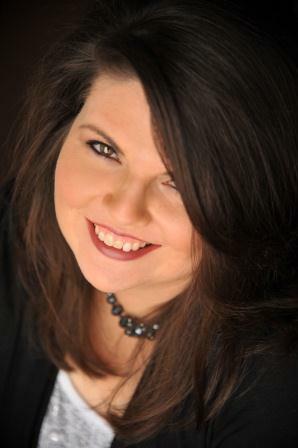 As an adult, she reads and writes obsessively, rehashes said embarrassing fodder, and dreams up characters who become her own grown up version of imaginary friends. When she's not typing furiously or flipping pages in an enthralling romance, you can find her homeschooling her two beautiful princesses, hanging out with her amazing husband, or taking a hot bubble bath…next to a pile of chocolate. A Tale of Two Centuries is her second novel.